Cable lacing has been a mystery to people not in the telecom business. Traditionally, cable lacing was taught through on-the-job training and few manuals exist since the trade was simply handed down from generation to generation of craftsmen. Until recently, cable lacing was only seen in older central offices and larger PBX environments. With the advent of nylon tie wraps, adhesive-back supports, cable staple-guns and other productivity-oriented tools, cable lacing fell out of use almost entirely. The demise was accelerated when, in the late 60's, management began pushing for more production and less regard was given to proper methods of placing and supporting cables or bundles. So, is the art of cable lacing really history? Let's begin to answer that question by exploring what cable lacing has been used for in the past. Cable lacing was widely used in equipment installation in Central Office Environments (COE) and PBX banks of equipment. Central Office (CO) and PBX Cables were laced into progressively smaller bundles referred to by euphemistic names related to the appearance of the final product, either branching upwards resembling a "tree" or downwards resembling a cascading "waterfall". This was not done as a method of structural support but primarily for the positioning, forming and shaping of cables/bundles, maintaining a tight, neat and permanent appearance. As mentioned above, the technological boom of the late 60's precipitated the decline in the use of cable lacing. Too much time was spent on the install leaving no time for the aesthetic pleasure of creating these shapely yet time intensive organized bundles. Cable ties became the easy way to bundle and caught on as the most time practical approach during installation. However, as craftsmanship of the late century is starting to make a comeback in today's society, so is cable lacing. The renewed appeal of cable lacing is as a differentiator for companies in a highly competitive market. Larger companies are even starting to take a sudden interest in how laced cables can reduce the incidence of diver cables and choked cables common when using cable ties. This, combined with careful attention to cabling bend radiuses, can improve the performance of the cable, resulting in fewer faults and more satisfied customers. How do you perform cable lacing? Since this is a craft, you must practice and experiment with different types and styles of knots and twines until you produce the desired end result. The more skilled you become, the faster and easier this procedure becomes. First, you must have the proper tools for the job. 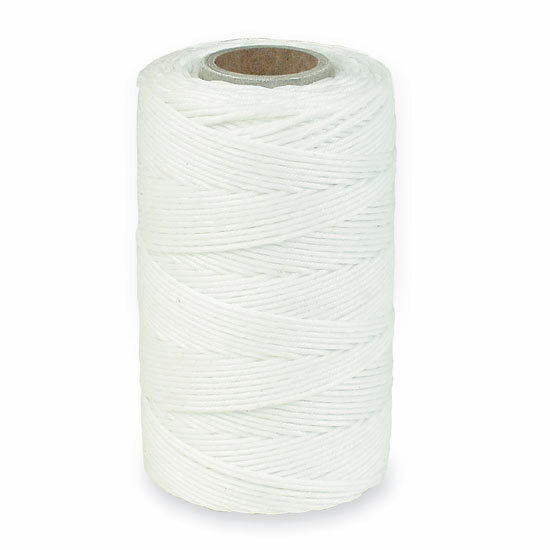 You will need waxed polyester twine which comes in several sizes and is referred to by many different names. 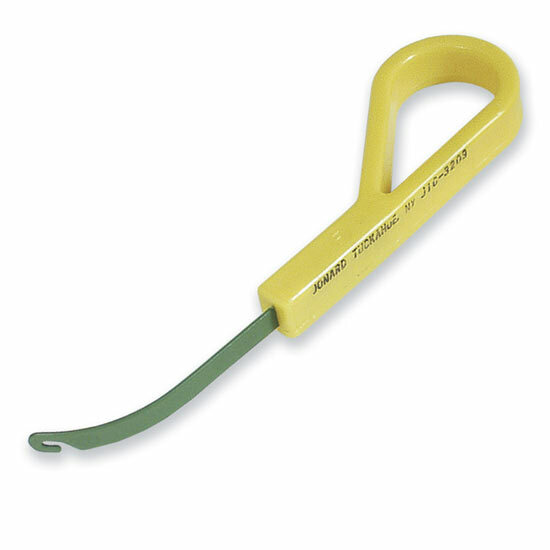 Tecra Tools stocks a 9-ply waxed polyester twine that is suitable for the majority of applications. All twine is not identical in composition or quality so experimenting with different types will help you find the waxed twine that works best for you. You will also need a selection of cable lacing needles. These tools come in many different varieties (curved hooks, straight hooks, flat metal needles, lacing loops, insulated, non-insulated, etc.). The styles you choose may depend on a particular situation, or personal preference. 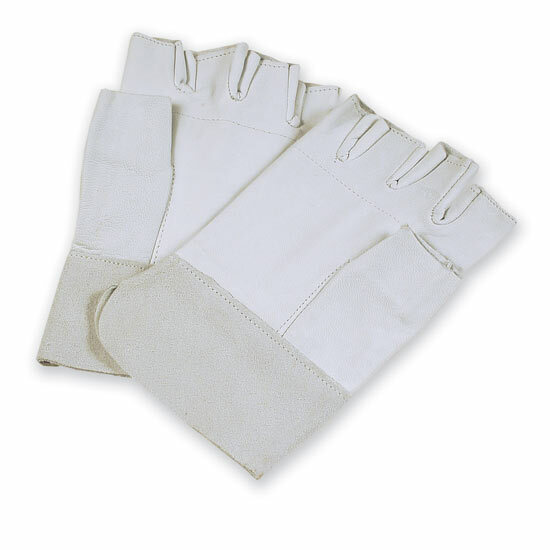 If you are doing a lot of lacing you may also want fingerless lacing gloves which maintain dexterity while still offering hand protection. Next, determine the pathway you want your cables to follow and start bundling as you go. The key to cable lacing is to understand the prime directives which are safety, performance, quality, aesthetics, and, of course, productivity. Once you have chosen the pathway, the next step is to permanently fasten or attach the cable or bundles to approved support structures or hardware. Remember, waxed twine lacing should be used in telecommunications spaces and equipment racks, frames, cabinets or bays, and not above the ceiling or in spaces classified as plenums or locations that may present fire hazards. The actual art of cable lacing comes with the lacing of the bundles and the permanent knots chosen to tie the bundles together. You might want to refer to a nautical book to learn about the different knots that will work best for you. Some of the common knots used in cable lacing include the half hitch, clove hitch and the running lockstitch. As for the lacing technique itself, there are a few primary running lacing methods worth learning � the Running Lockstitch, Marlin-Hitching and Half-Hitching. You will also need to become familiar with various methods of securely starting and tying off each end of a lacing run. When using long lengths of twine, the bundle is first worked loosely from the secured end (usually the entrance point) toward the opposite, unfastened end (usually the equipment) to be terminated. A long length of twine is sometimes awkward to work with. One simple method of adding length as needed is by tying together two lengths of twine. This is referred to as a Fisherman's Knot. As you proceed, each twine hitch is spaced into set intervals and each drawn tight in sequential order from the secured end toward the equipment end. Originally, the philosophy was "the tighter the better". But in today's high performance fiber optic, telecom and Cat 5 cabling, care must be taken to place the stress of tightening on the support and not on the cable jacket. By using waxed twine lacing to bundle your cables, you are creating a neat structure that leads to increased trackability and traceability of each individual cable. Also, you avoid choking the cables, which can easily happen with zip ties. Thus, you ensure the highest performance possible from your cables, confident that there are no potential bottlenecks being created. Having your company put this finishing touch on all your installations will also show your clients just how dedicated you are to performance, quality connections, and superior workmanship! 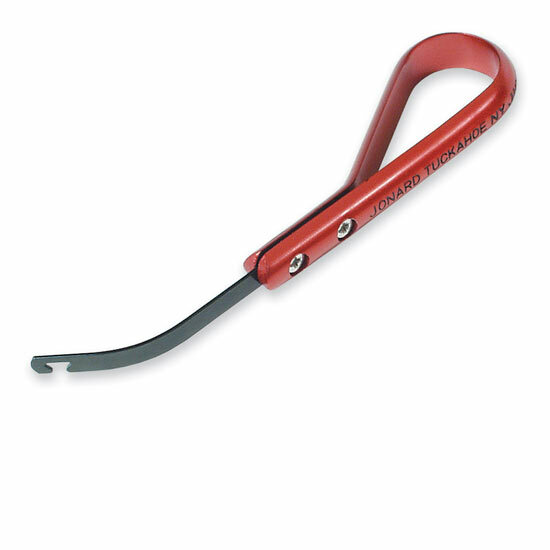 Click here to check out all our fine cable lacing tools and equipment online.